Are you a trucker? You are! The chance is you travel long distances. There are times you are far away from towns if anything happens to your ride. You might even be able to repair the mechanical problem yourself, especially when a mechanic is out of reach. Getting to your destination is important, as time is money. 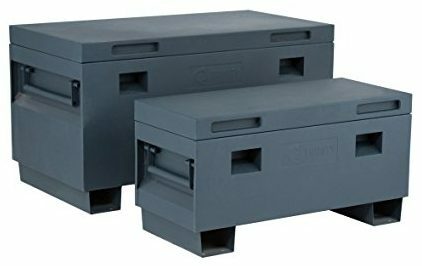 You need the best truck tool boxes available in 2019 to help. The benefit is you can handle any mechanical repair yourself with a box full of tools under your truck bed. So if you want to avoid unexpected truck breakdowns check our list of the top 10 best truck toolboxes here. For a robust toolbox to transport with you, pick the Yaheetech. The box has an aluminum structure of 1.3mm with chrome exterior. The storage space is enormous and fits perfectly in trucks. The lid and surface have a weather-defiant design, and for durability, it has a five bar construction. The TMS has a 48-inch length aluminum structure. 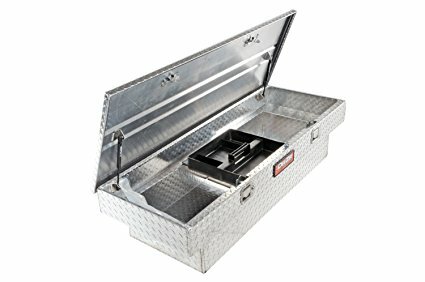 The truck toolbox is perfect to use in your truck, garage or at home. The door is water-resistant and has hardwearing hinges entirely welded. On each side of the box, there is a handle, and it comes with a bolt and two keys. For all-purpose storage of tools, the Best Choice Camper toolbox is perfect. Whether you want to use the box at home or in your truck, it offers you an ideal fit. The outer surface constructed of aluminum and has a chrome surface. The inner has a spacious design to load different tools, accessories, and bolts with a sturdy latch and you receive included two keys. For a small truck toolbox, you need the Better Built range. With the sleek design, you get more space on the truck bed. For keeping your tools secure, the box has a conventional cut aluminum design with stainless steel locking handles. For opening the lid, it has auto-lift shocks that open to 90°. There are two locks, and you receive two keys included. The TRINITY might be a job site box but is more than ideal to use in your truck. 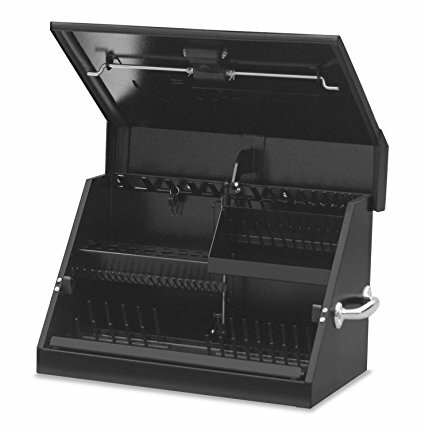 The locking structure has a tamper-proof design and has gas support lifts for opening/closing the lid. You can bolt it to a truck bed that has a storage capacity of 10,368 cubic inches. You can lift the toolbox with a forklift. Here we have another Better Built single lid toolbox measuring 61.5-inches in length. The whole box has a rust-resistant aluminum diamond design. You can use it with a no-drill fitting kit and fits on the back of the truck bed taking up very little space. You can open the lock comfortably with the double stagnant cam handle and has automated lift shocks. For a durable truck toolbox, choose the Dee Zee Red Label Crossover model. The box has a 0.056 aluminum Brite-Tread design with a dual V-Pan Lid Stiffener. There are inside bends with a three-piece body for added strength. The closed foam gasket makes opening/closing easier. With the Montezuma portable toolbox, you can keep both your Society of Automotive Engineering and metric tools secure. The steel structure has welded joints without spot welding making it long lasting. The cover has gas spring shocks and comes with a limited lifetime warranty. The UWS truck toolbox has a unique angled crossover design to fit the back of your track. The lid is foam-filled to make the box more stable. 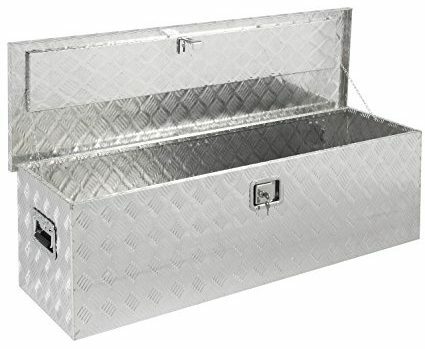 The whole toolbox has a one-piece construction of 0.058-inch aluminum. You can use it to store any cargo or tools. For security, it has a corrosion-resistant stainless steel lock and handles. If you need the top of the range truck toolbox here is another UWS Crossover model. As with the previous item, this one also has a thick aluminum structure, and the lid has a foam core. You can open the top to 90° and has a self-closing system. Compared to the UWS typical lid this one has a lower profile. To keep your tools neatly packed away it comes included with a screwdriver tray and three-partition descending tool tray. 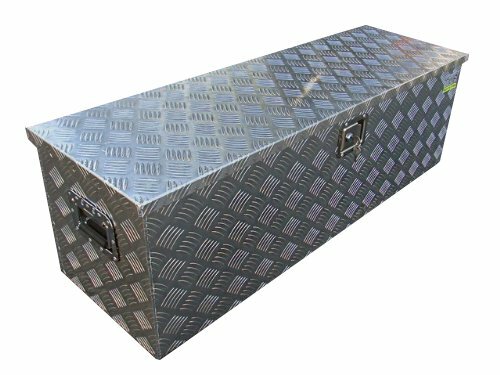 If you are a trucker, construction worker or own a garage, you can only benefit from using a truck toolbox. 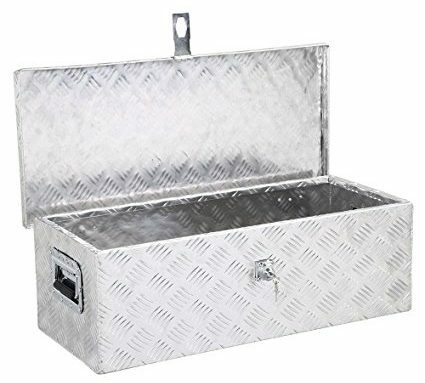 We hope our Top 10 Best Truck Tool Boxes in 2019 list helps you to find a suitable one. 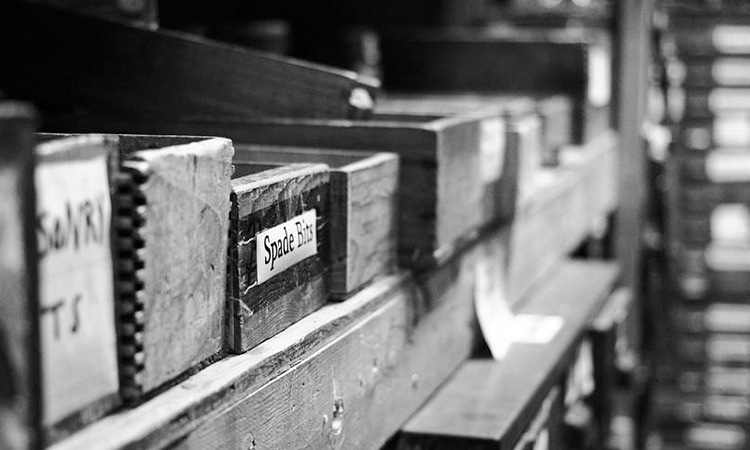 You can find an affordable to expensive one to fit in with your mechanical needs right here. The UWS range comes highly recommended and includes some great extras to keep your tools secure and neatly packed away.